It’s clearly a polarising question in the lead up to the ACT election, the future direction of public transport in Canberra. The Canberra Liberals are staking their election chances on outright opposition to light rail, (it’s not a tram, just to be clear Mr Hanson), and have proposed to effectively provide more of the same. Wider roads, more buses, with maybe a couple of bike paths. 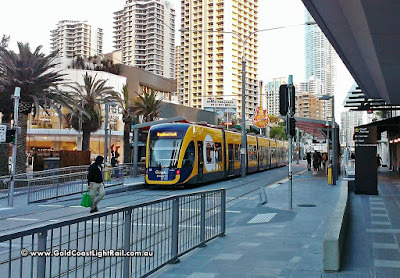 Labor and the Greens on the other hand promise to extend light rail across the city as a high capacity ‘spine’ for an integrated bus/light rail public transport network. Then there are massive economic drawbacks. It costs an average of $12,000 a year to run a car for individuals, most of which is not returned to the local economy, while the government pours hundreds of millions of dollars a year into road construction and upkeep. This is an expenditure road users come nowhere close to funding, so inevitably it is the rate payers of Canberra who pay. Additionally, each new suburb that we build piles on the requirement for the territory to not only maintain existing infrastructure, (power, water, sewerage, parks & gardens etc), but to construct and maintain the required new infrastructure. Spreading this compounding liability over a sparsely populated tax base logically results in a higher cost per rate payer. So what do we do about it? We work to find a way to change land use that encourages better use of existing infrastructure, eliminates car dependency, and encourages ‘trip localisation’, i.e. creating places where residents can access services locally by walking to it. 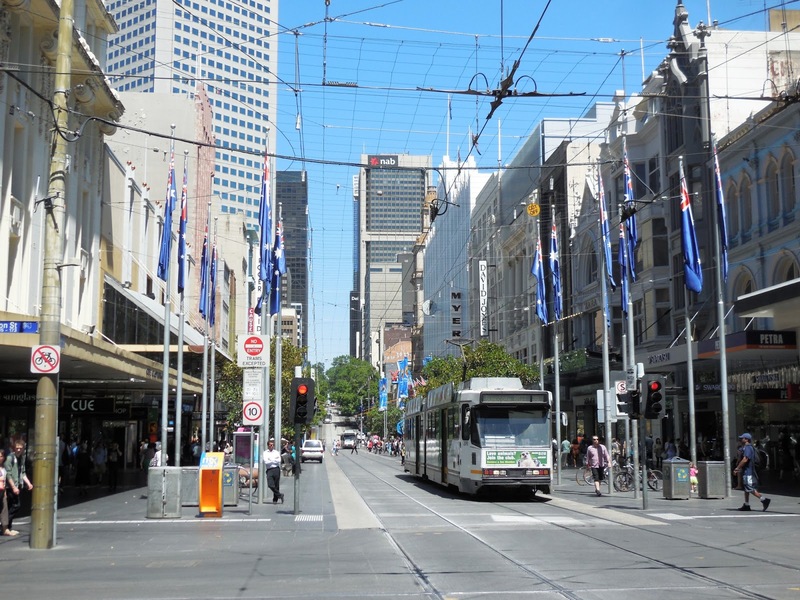 Light rail, in case examples from all over the world, is a proven mechanism for anchoring Transit Oriented Developments (TOD) which are typically mixed use and walkable. TOD encourages more efficient land use through greater urban density, and a focus on functional design that people react to in a positive way. And this leads to the next point. While some people point out that a Bus Rapid Transit (BRT) system would be cheaper to build and result in the same change to land use, the evidence doesn’t support the claim. People are not mathematical constants. You cannot look at passenger numbers on a bus-only transport system and automatically translate that across to a future light rail option. 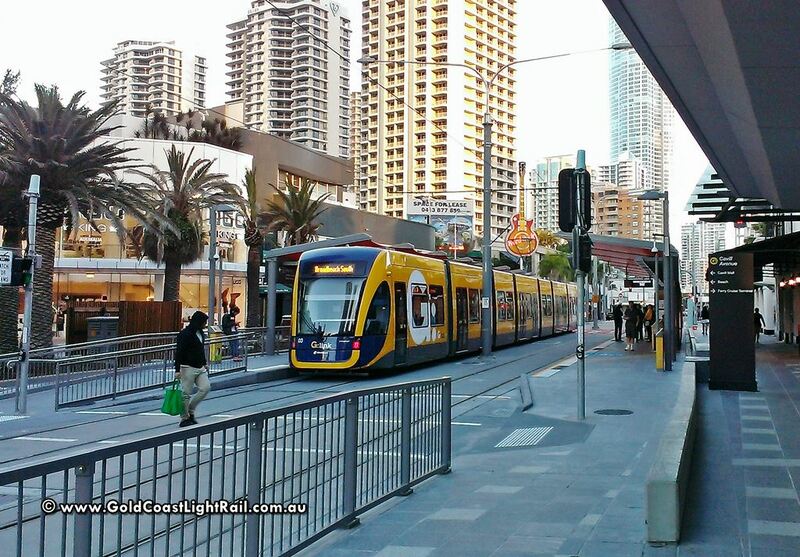 When the Gold Coast light rail commenced operation in 2015, public transport usage overall increased 22.6%, an extension to the light rail in Adelaide saw an increase in patronage of 39% in its first week, and when a new light rail line opened in the US city of Minneapolis, a full 40% of riders professed to never having used public transport in the past. This author’s own wife refuses to ride a bus, but was an avid user of the Sydney train network when we lived there. People will, and do, go out of their way to use rail based public transport over road based. Oh, but what about self-driving cars I hear people ask. I ask this in return. How does a continuous stream of individual vehicles on roads which are now completely hostile to pedestrians promote urban amenity, so necessary for changing land use habits? Where do we park these vehicles? How do autonomous vehicles move a crowd of 15,000 people away from Canberra stadium after a rugby game? How do we power these thousands of vehicles? Autonomous vehicles have their place, but it isn’t in the role of efficient mass transit which is what light rail is all about. When the clear benefits to the urban environment that light rail can produce are taken into consideration, it becomes increasingly frustrating to listen to the continuing opposition from certain elements of the Canberra community. What’s more frustrating for this author is the fact that a party who would seek to be our government are promising to reverse the project despite the clear economic, social and environmental benefits. To accept the current land use/transport status quo is regressive. It denies there’s a problem, shows zero vision for a more liveable city, and exposes their position to inconsistency with reality. How, for example, are they going to pay $300 million in penalties for scrapping the light rail and build better schools and hospitals all while lowering our rates? When are we going to see some bipartisan support for evidence based public transport and land use policy? 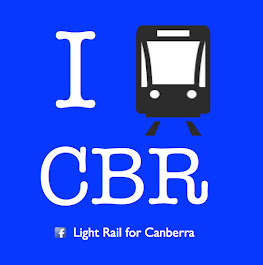 For more frequent updates on Canberra Metro and Canberra light rail related news, please visit our Facebook page 'Light Rail for Canberra'. You speak of autonomous cars only. But what of buses that are guided / driven by GPS and a computer. Trucks in WA mines are driven from a control room in Perth. There may soon be no need for an expensive rail. A rail may become redundant. Sydney and Brisbane thought that "a rail" HAD "become redundant" in the last millennium, but Melbourne didn't. 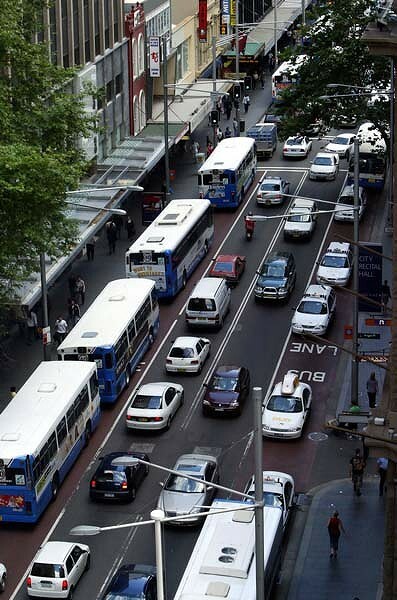 So now we "see why Sydney is moving to emulate Melbourne in this respect". And in the last millennium, the ACT Liberal Government, including Minister Michael Moore, cancelled the mass transit system to Gungahlin (then called a "tram"), and promised to investigate pods moving along overhead tracks. The Liberal Government also cancelled the planned move of the ACT Department of Environment, Land & Planning to the Gungahlin Town Centre, which was the first Canberra Town Centre to be planned from the beginning for both commercial and residential development (and the Flemington road corridor was designed for high density because of the mass transit system, in addition to the fact that it then passes EPIC, the majority of the rentable hotel/motel rooms in Canberra, Yowani Country Club, Southwell Park and ends in Civic, the original and largest "town centre", plus services the first Canberra university, the ANU). So that, together with the Federal Howard Liberal Government's slashing of the public sector, drove the ACT economy into recession. 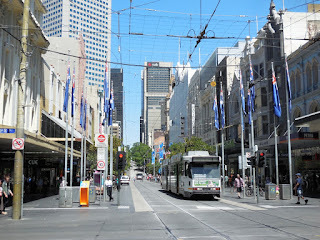 Since then, Sydney has built light rail and extended it 4 times (while demolishing the overhead monorail). As Canberra's most famous son, Gough Whitlam, said - the Liberals are like the Bourbons of France, they have learnt nothing and they have forgotten nothing. To misquote a famous Australian Writer - Poor Fellow My Territory.